Valley of the Kings and Queens, the temple of Hatshepsut and the Colossi of Memnon. In the afternoon we sail to Esna. Tonight enjoy the Captain’s welcome cocktail party. On arrival in Edfu, board a ‘caleche’ and take this horse-drawn carriage to the Temple of Horus. 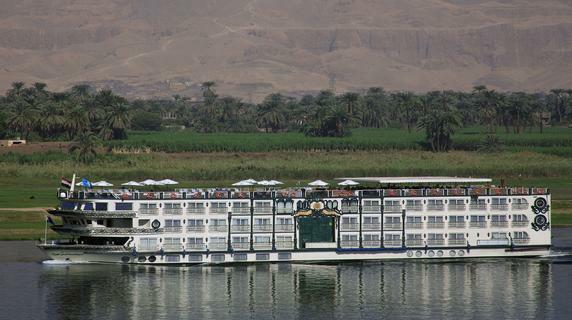 Afterwards we sail to Kom Ombo to the Temple of Sobek, the Crocodile God. 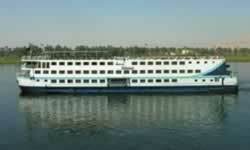 Arrive late tonight in Aswan. This morning, we take a tour of Aswan’s High Dam, the Ancient Granite Quarries and the Temple of Philae. Later we board a felucca and sail around Elephantine Island. Tonight enjoy a fabulous Nubian folkloric show. Disembark after breakfast at the end of the cruise. 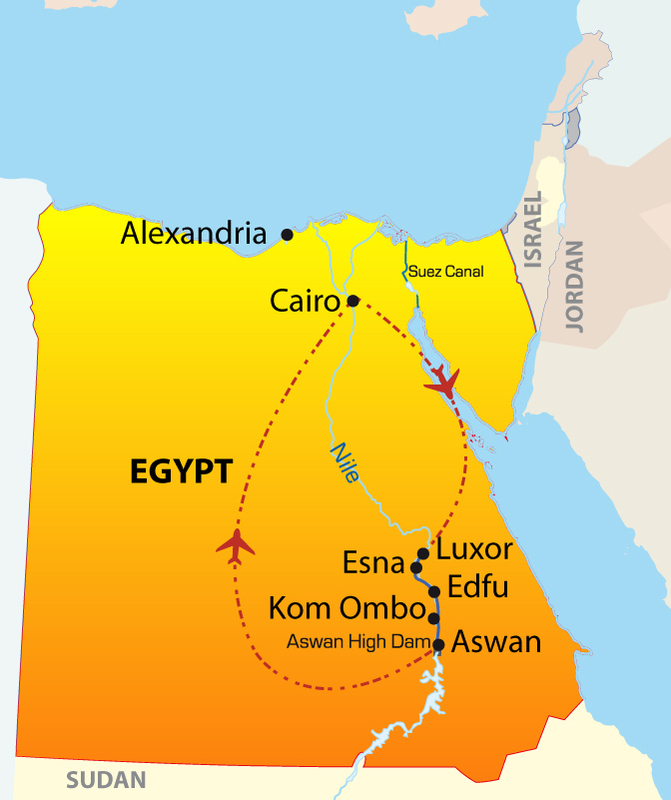 After breakfast we transfer you to Aswan Airport for your flight back to Cairo (flight included).